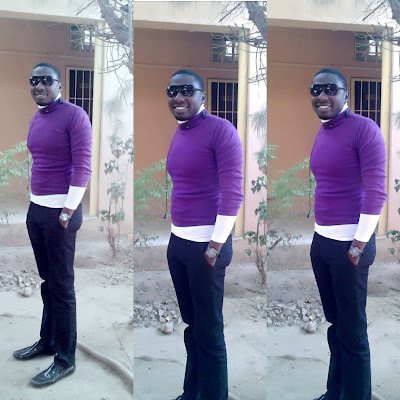 This one he's wearing sweater for 9ja hot weather hope all is well,abi na for Yankee em snap the pinsurr??? He tried anyway ! ***********Lmfao******@ He is standing like Okro plant ,,,,,,,,,,,,,, abeg u don c Okro plant bfr ?????? ?